THE DRAMA-FREE WAY OF BOOKING EVENT SPEAKERS Choosing a speaker for an important event can become a frustrating experience. There are so many choices it can become difficult to know how to sift through them all. And then there’s the challenging process of getting all the stakeholders to agree on the candidate. 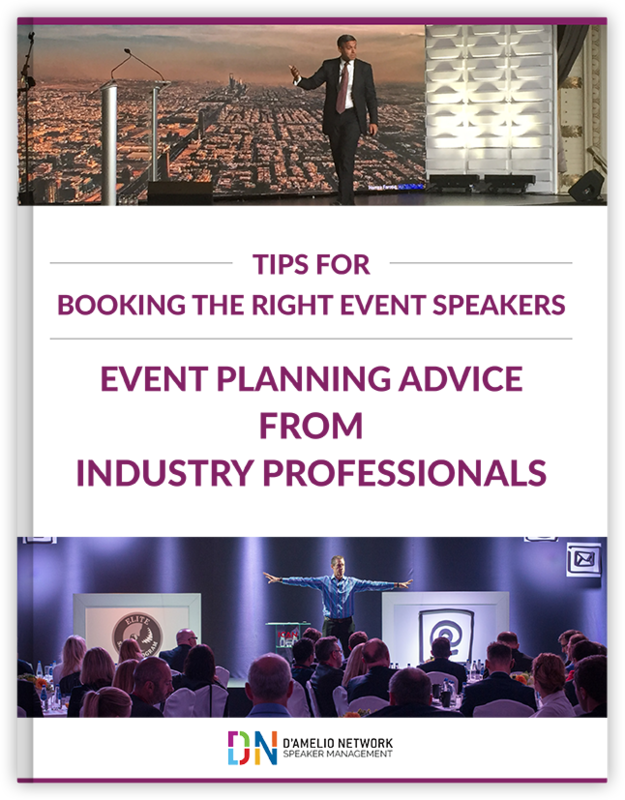 TIPS FOR YOUR EVENT PLANNING CHECKLIST Taking your time to choose the right speaker is a great first step to a successful outcome. After that, a well-planned pre-event call, about 3-4 weeks in advance of your program, will make certain your speaker has the best chance to shine and meet your objectives. As anyone who has been booking speakers for events can readily attest, the speaking industry can be one very confusing space to navigate to the outsider. Those of us on the inside are used to it, but if you only step into this world a few times a year, making sense of how things work can be a daunting prospect. As someone who’s been involved in bringing talent and audiences together for my entire career, I thought I’d offer up a few essential insights that would be useful to corporate event planners - both novice and veterans alike. In my previous life as a speakers’ agent for top keynote speakers, I worked with a well-known non-fiction author whose name you would know; someone really well respected. That author did a lot of speaking on the strength of impressive book sales; multiple #1 New York Times bestsellers. The author was a good speaker. I say “good” because rarely was the sponsoring organization disappointed with the speech – but the author never got an emphatic, “That was great!” reaction from the event planner. When I would go to see this author speak, I loved the content but would come away a bit disappointed because the speech was read…word for word…while looking up occasionally.